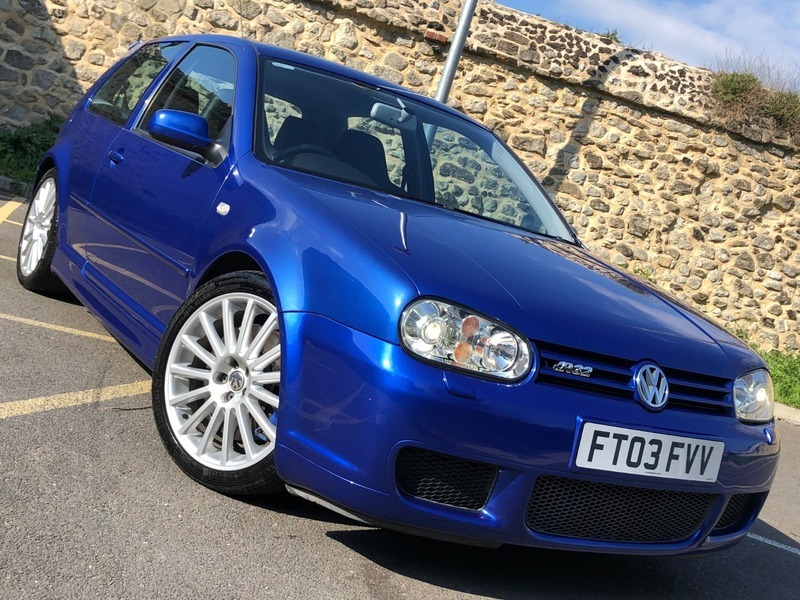 HERE WE HAVE THIS LOVELY VW GOLF MK4 R32 WITH INCREDIBLY LOW MILES, THIS HAS TO BE ONE OF THE BEST ONES ONLINE. ITS EXCEPTIONALLY CLEAN AND LOVELY TO DRIVE, PULLS VERY WELL AND THE GEARBOX AND CLUTCH ARE LIKE NEW. THE BUCKET SEATS ARE HEATED AND IN GREAT CONDITION WITH VERY MINIMAL SIGNS OF WEAR, AS IT SHOULD AT THIS MILEAGE. WITH THIS MILEAGE IT WILL DEFINITELY BE WORTH A LOT MORE IN THE NEAR FUTURE SO DON'T MISS THIS OPPORTUNITY TO OWN THIS CAR AS YOU WILL REGRET IT LATER.